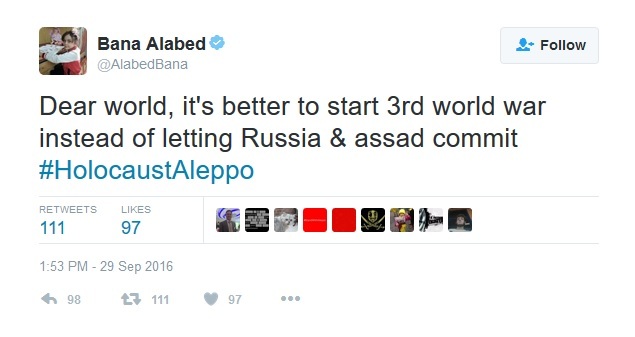 Until and even after the liberation of Aleppo in December 2016, one of the most popular Aleppo Twitter accounts, offering pleas for Western intervention in Syria, was that of then seven-year-old Bana al-Abed, living in eastern Aleppo’s al-Muasalat al-Qadima neighborhood of Jouret Awwad, Sha’ar. 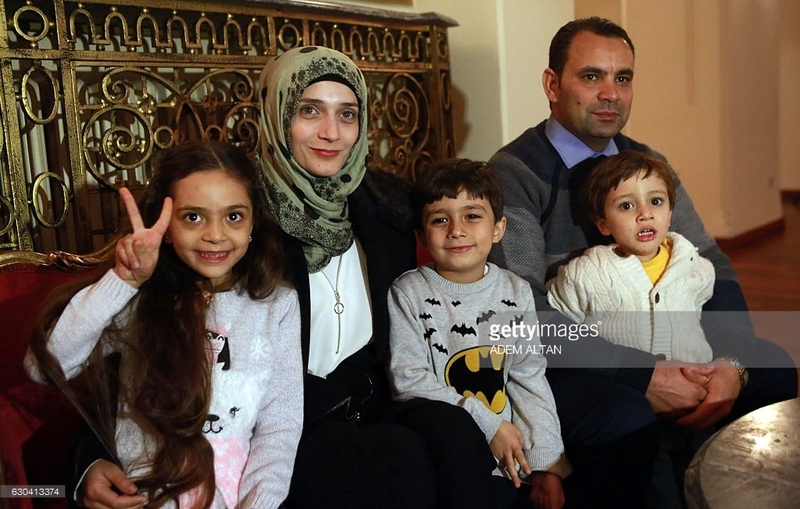 In spite of the Bana account’s fear mongering, the girl and family were safely evacuated to Idlib, as promised and honored by the Syrian government. 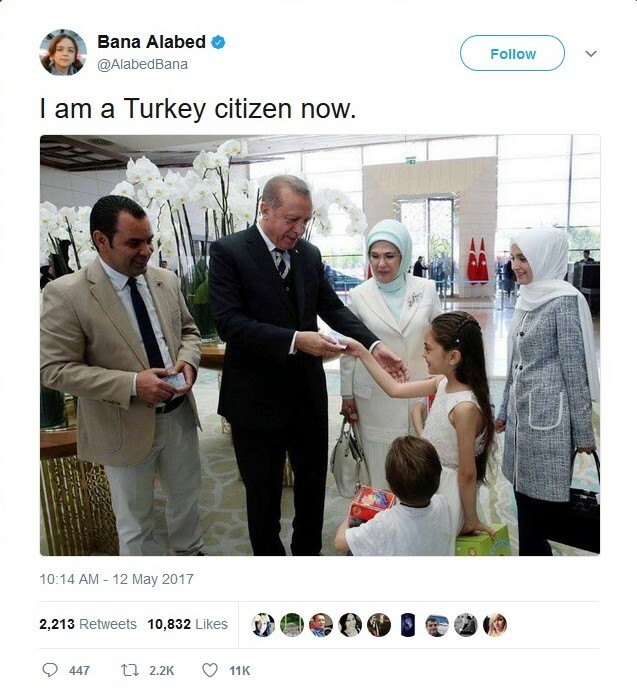 Bana and family went on from Idlib to Turkey, becoming citizens in mid-May. 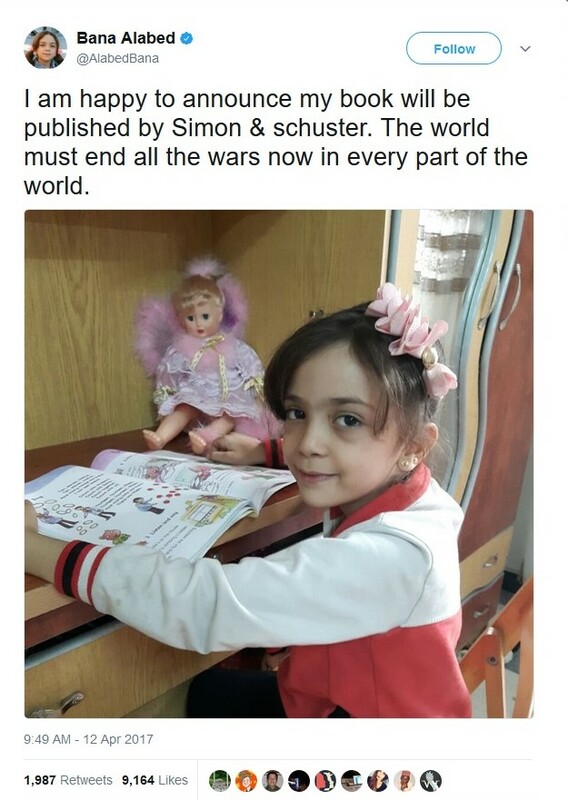 The child’s account, which now has 369,000 followers, continues to vilify the Syrian and Russian governments and hobnobs with world leaders and global celebrities. Time magazine lauded Bana as among the most 25 influential people on the internet. On June 30, the Bana account tweeted the announcement of her memoirs, published by Simon & Schuster. 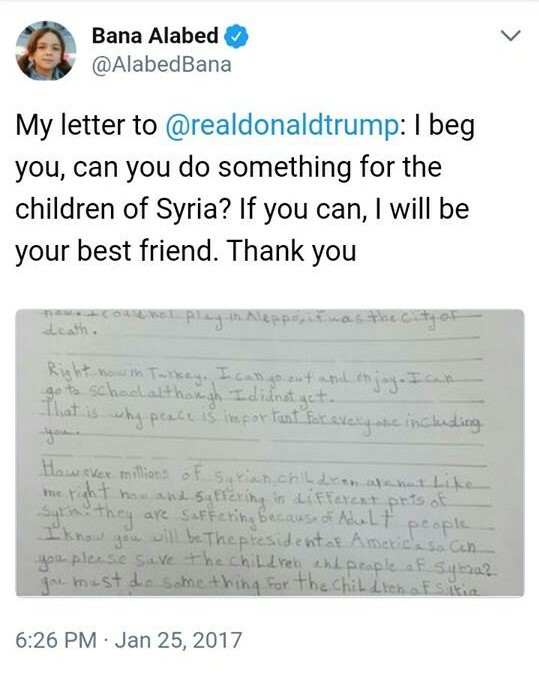 After much online criticism regarding the implausibility that a child whose reply to a question about what food she liked was “Save the children of Syria” could be tweeting nuanced, idiomatic, English phrases, often with perfect punctuation, Bana’s mother Fatema admitted to penning some of the tweets. The BBC uncritically published the entire letter, never doubting the veracity of a letter said to be penned by an English-illiterate then-7-year-old, a letter which also included near-perfect mastery of idiomatic expressions and more subtle calls for Western intervention. Indeed, it turns out there is far more to the Bana story, and her family’s criminal activities with terrorists than observers had surmised. Khaled Iskef revealed the contrary. In the al-Abed home, Iskef found a notebook documenting Ghassan’s work with terrorists over the years. 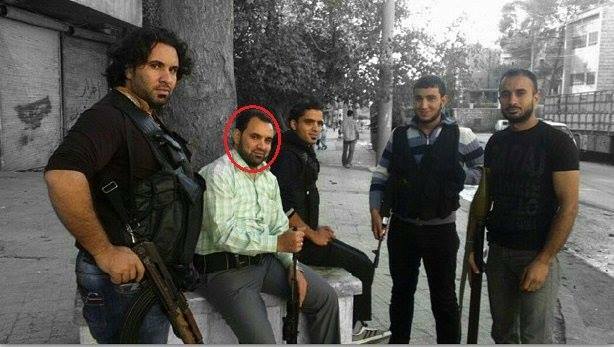 According to the notebook (and coinciding with photos formerly on his social media pages) Ghassan Al-Abed was a military trainer for the Islamic Sawfa Brigade, and worked in the Shariah Council in the occupied state Eye Hospital, under the control of ISIS for a time until 2014, and al-Nusra for all of the time that al-Abed was there. The Shariah Council which al-Abed worked with passed decisions on imprisonment and assassination of the captured civilians being tried. According to residents of the district, Iskef reports, Ghassan’s father, Mohammed al-Abed, was a known arms dealer and had a weapons maintenance shop in Sha’ar, servicing light to heavy weapons for terrorist factions. The al-Abed weapons shop was opposite a school-turned-headquarters for al-Nusra. 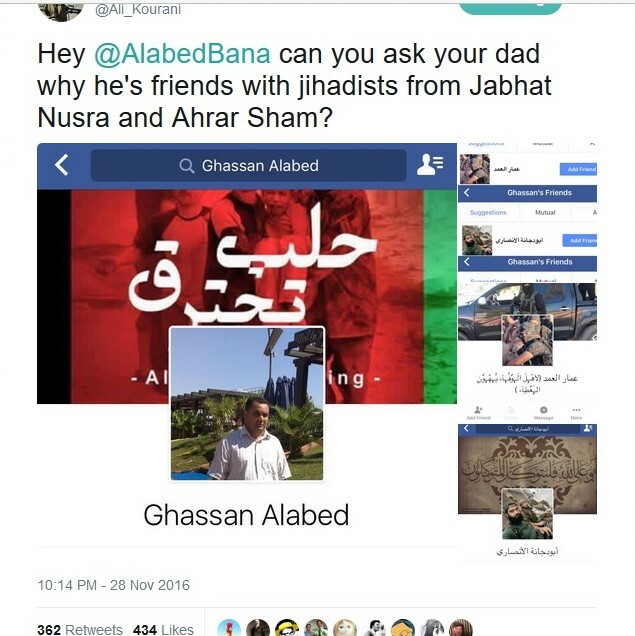 The author either does not understand Arabic or perhaps missed the point in Iskef’s first video wherein he reads from Ghassan al-Abed’s notebook which states that Ghassan was working in the Shariah Council in the Eye Hospital from early 2013, before reports of ISIS being pushed out of Aleppo in 2014. For those who followed the Bana Twitter account, a constant theme was that she missed going to school. What wasn’t mentioned was that terrorists, including al-Nusra, were using schools as headquarters, along with other buildings in the district, amounting to at least twenty headquarters in Bana’s area, and over 300 in eastern Aleppo, according to Iskef. In his second video report, Iskef shows a photo which Bellingcat also shared in their December report. 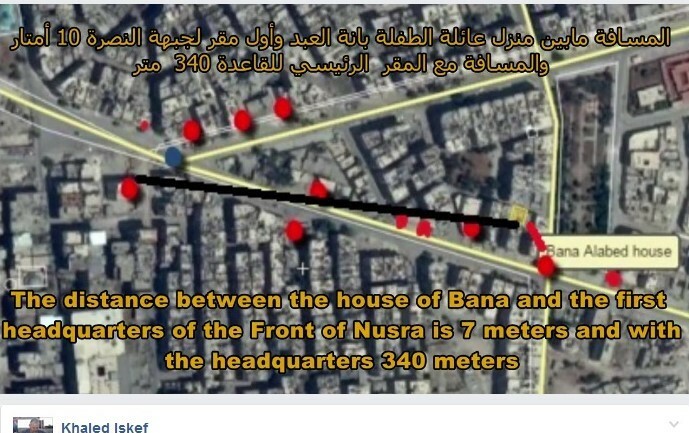 What Bellingcat didn’t bother to research was that in the picture Bana stood within meters of the most important al-Qaeda headquarters in Aleppo. The former main headquarters of al-Nusra for Aleppo and countryside was just a camera swivel(and some meters) away.